Two DFL-endorsed congressional candidates in prominent primary races — the special election for U.S. Senate and the campaign to fill the U.S. House seat being vacated by Keith Ellison — held off challengers from within the party Tuesday to advance to the general election in November. State Rep. Ilhan Omar, DFL-Minneapolis, handily defeated her closest challenger in the 5th Congressional District, former state House Speaker Margaret Anderson Kelliher. If Omar wins in November in the reliably liberal district, she would be the first Somali-American elected to Congress. "Together we can organize around the politics of hope and make sure that not only did we have the America we believed in but the America we deserve," Omar told her supporters in Minneapolis Tuesday night. As the first Somali-American elected to a state Legislature, Omar referenced her childhood and her hope for the future. "I talked about what my win would have meant for that 8-year-old girl in that refugee camp, and today, today I still think about her and I think about the kind of hope and optimism all of those 8-year-olds around the country and world get from seeing your beautiful faces elect and believe in someone like me." 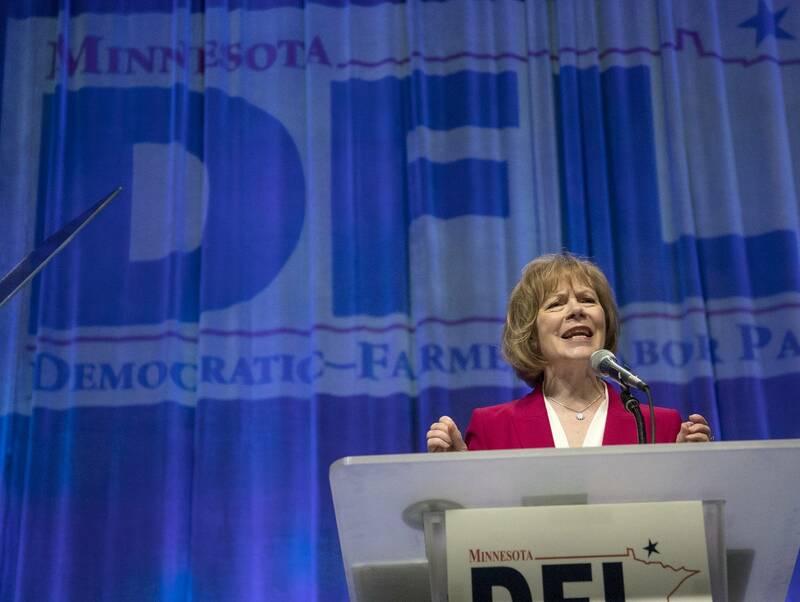 Meanwhile, Sen. Tina Smith withstood an attempt by Richard Painter, a law professor at the University of Minnesota, to deny her a chance to hang onto the seat to which she was appointed after the resignation of U.S. Sen. Al Franken. Smith won with about 76 percent of the vote. Painter was polling a distant second, with 13 percent. A former Republican who served as an ethics lawyer in the administration of President George W. Bush, Painter switched parties to run in the DFL contest. He has been a frequent critic of President Trump, whose administration he accuses of "high crimes and misdemeanors." Also challenging Smith was Nick Leonard, a lawyer from Minneapolis who called himself the "true progressive" in the contest and said he would be the first openly gay man elected to the U.S. Senate. He attracted less than 3 percent of the vote. The endorsed Republican candidate in the special election contest, Karin Housley, is a state senator from St. Marys Point who started a real estate business. She won with about 62 percent of the vote. Her primary challenger, Bob Anderson, a dental technician from Hastings, was pulling about 35 percent. In the 1st Congressional District, Republicans Jim Hagedorn and Carla Nelson were battling for the right to carry their party's standard against Democratic candidate Dan Feehan, who had won his party's endorsement to replace Tim Walz. Hagedorn won with about 59 percent of the vote to Nelson's 32. 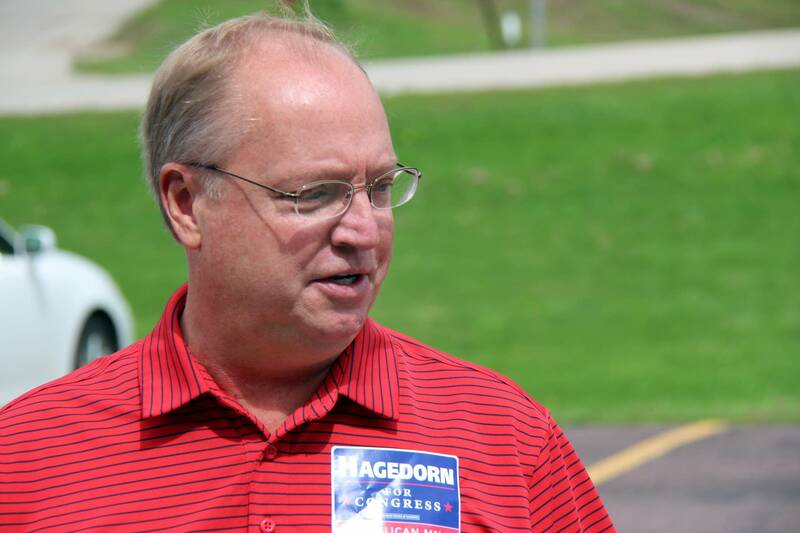 Hagedorn, the party-endorsed candidate, was running his third race for the U.S. House. He lives in Blue Earth. Nelson is a state senator from Rochester. 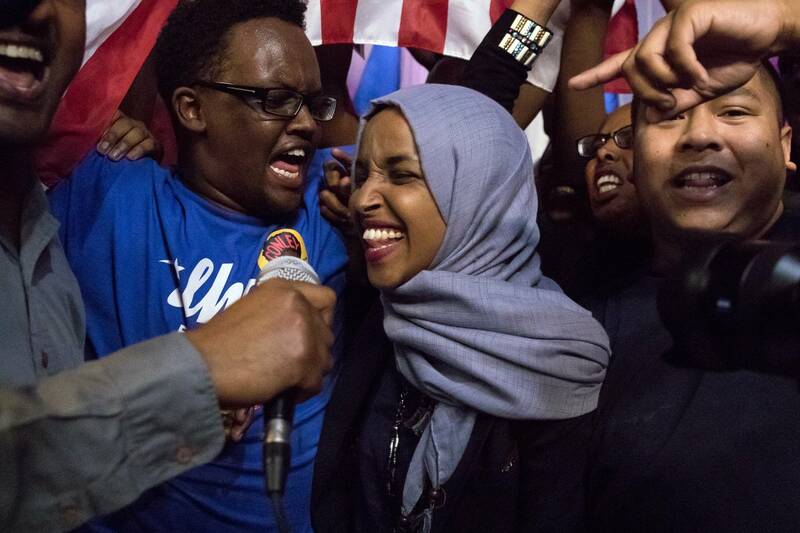 In the 5th District, where the departure of Rep. Keith Ellison to run for state attorney general set off a five-way scramble among DFLers vying to replace him, Omar emerged the victor. She defeated Kelliher; Patricia Torres Ray, a state senator; Jamal Abdulahi, like Omar a Somali-American, a businessman and engineer; and Frank Nelson Drake, of Edina, who works in real estate. The winner of the 5th District primary will face Republican Jennifer Zielinski. Zielinski has never held political office but told MPR News from her victory party in Minneapolis that she would also offer a unique perspective as a non-career politician. "We need to come together, solve certain issues that do face all of us, education is a huge piece, we have to make sure our kids in Minnesota's Fifth Congressional District are going to be graduating. We do have immigration facing us especially in our district, how we can help those who are immigrants become legal but also protect our country and our borders." 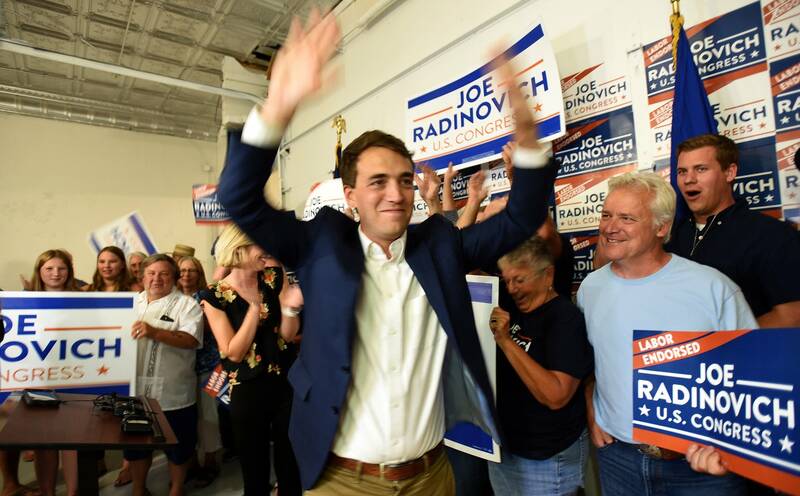 In another densely populated House primary, the 8th Congressional District, Joe Radinovich was declared the winner of the DFL primary with almost 60 percent of the vote. Five candidates had been seeking to replace departing U.S. Rep. Rick Nolan on the DFL ticket. Nolan had announced his departure from the House before being named Lori Swanson's running mate in Minnesota's gubernatorial contest. Radinovich, of Crosby, is a former staffer for both Nolan and Minneapolis Mayor Jacob Frey. The other candidates were North Branch Mayor Kirsten Kennedy; Michelle Lee, a former Duluth TV anchor who lives in Moose Lake; state Rep. Jason Metsa of Virginia, Minn.; and Bemidji activist Soren Sorenson. Radinovich will face Republican Pete Stauber, a St. Louis County commissioner whose campaign got a boost from President Trump at a Duluth rally last June. Eric Ringham is arts editor for MPR News.